Thursday's quake could be felt on Bali, another popular Indonesian resort island west of Lombok. The devastating quake on the Indonesian island of Lombok was "exceptionally destructive" and wiped out entire villages in the worst-hit regions, relief agencies warned as the death toll jumped to more than 160 on Thursday. 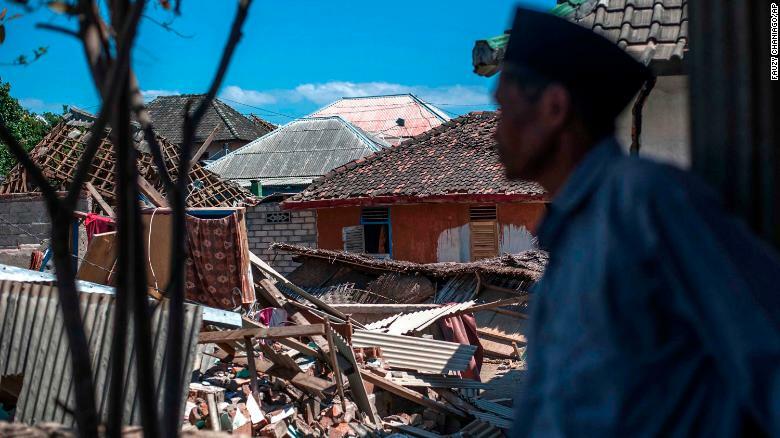 But the spokesman for Indonesia's national disaster agency, Sutopo Purwo Nugroho, said some areas in the north had still not received any aid. Almost 2,500 people have been hospitalized with serious injuries and more than 156,000 people are displaced due to the extensive damage to homes. Lombok was hit a week earlier by a 6.4 quake that killed 16 people. With hospitals and clinics also affected, numerous injured have had to be treated in the open air or in makeshift clinics. In December 2004, a massive magnitude 9.1 quake off Sumatra triggered a tsunami that killed 230,000 people in a dozen countries.